SPECIAL COLLECTIONS (Co-Cathedral – Minor Basilica of the Assumption of the Blessed Virgin Mary) Baptisms 1958-1976, pp. 82-330; Maryland General Hospital 1908-1911; General Index; Marriages 1783-1861, pp. 1-407. MdHR M 1517. Notes: One of the oldes and most important of Baltimore’s medical institutions is the Maryland General Hospital, at Linden avenue and Madison street, incorporated in 1882.The hospital has its start on West Baltimore street in a building previously occupied by an orphan asylum, but within a few years the present site of the main building was acquired and a new home constructed.After a long affiliation with the Baltimore Medical College the Maryland General came under the management of the Methodist Church in 1911, its board of directors representing the Methodist Episcopal, the Southern Methodist and Methodist Protestant Churches — the first project to be undertaken by the three branches of the denomination. 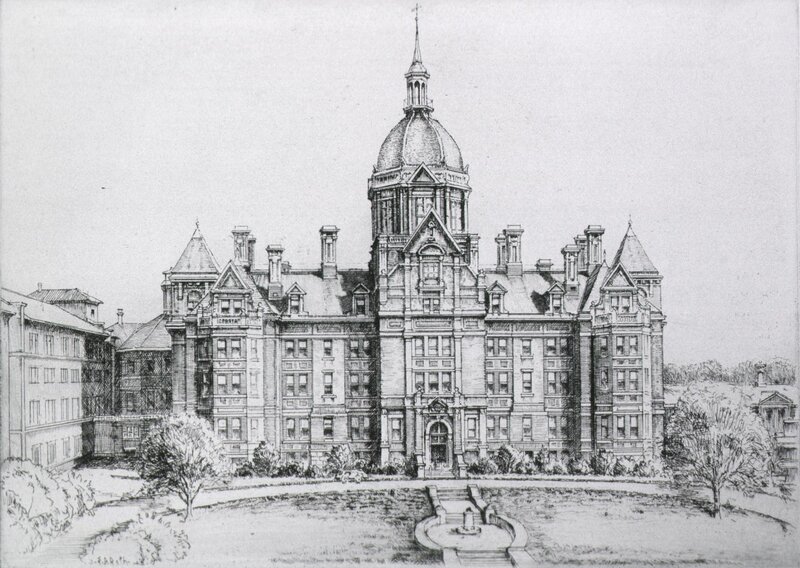 Later the buildings of the Baltimore Medical College, at Linden and Monument street, and the Baltimore Dental College, on North Howard, were added to the hospital’s equipment. In 1923 a new nurses’ home was built, at a cost of $160,000, and other improvements and additions brought the capacity of the hospital up to 230 patients.